HD Kumaraswamy met Prime Minister Narendra Modi on Thursday and thanked the centre for giving clearance to the state government for preparing the Detailed Project Report (DPR) of the Mekedatu project. HD Kumaraswamy on Thursday said Tamil Nadu and Karnataka were not "Indo-Pak enemies" and the states can resolve the matter of proposed Mekedatu project on Cauvery River amicably. The centre is expected to call a joint meeting of the heads of both the states in the next 10-15 days to iron out the differences. Mr Kumaraswamy met Prime Minister Narendra Modi on Thursday and thanked the centre for giving clearance to the state government for preparing the Detailed Project Report (DPR) of the Mekedatu project. The two main Tamil Nadu parties-- AIADMK and DMK-- have been opposing the project and disrupting proceedings in both Houses of Parliament for more than a week. The Rajya Sabha was adjourned Thursday over the issue. To counter the protest, Karnataka lawmakers, cutting across the party lines, staged an agitation in front of the Mahatma Gandhi statue inside the parliament complex. 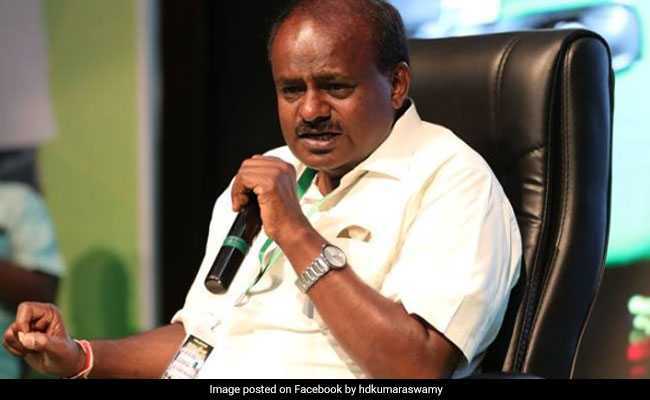 Speaking to reporters after meeting the Prime Minister, Mr Kumaraswamy said, "Yesterday, I had requested Union Water Resources Minister (Nitin Gadkari) to convene a meeting of chief ministers of the two states to resolve the matter. He agreed and directed his officials to fix a meeting". "In another 10-15 days, he may call a meeting," the Karnataka chief minister appealed Tamil Nadu to resolve the matter amicably instead of fighting in courts. "The fight is going on. This will not be solved legally. We have to resolve it amicably. Facing a legal battle is different. We are not Indo-Pak enemies, we are brothers. We have to discuss and resolve," he said. The JD(S) leader added the proposed Mekedatu project would be more beneficial to Tamil Nadu and requested the AIADMK and DMK not to make the issue a political one. "I request political parties not to make it a political issue. We can sit and solve. It is not a big issue," he said, adding the Karnataka government was abiding with the Supreme Court order. "The state (Karnataka) is proposing to construct the Mekedatu dam to ensure that surplus water does not flow from Cauvery into the sea. Please accept our project," Mr Kumaraswamy said.